If you work in the agricultural industry, you know that pests are one of the biggest threats to your livelihood. Among these pests, few are more common or more insidious than rodents. Mice, rats, moles, and voles can all make their homes and agricultural fields, causing widespread destruction and ruining annual yields if not controlled. To make matters worse, many options for control come with a dark side: crop damage and overall environmental degradation. To help you make the right choice for your property, our eco-friendly pest control experts here at EcoClear Products have put together these Eco-Friendly Tips For Controlling Rodents On Agriculture Fields. We’ve also provided recommendations and information on own line of eco-friendly rodenticides. Read on to learn more, and protect your property with our solutions here at EcoClear Products today! It’s no secret that a rodent infestation in an agricultural setting is bad news. Rodents like mice, rats, voles, and moles are prolific eaters and breeders. An unchecked infestation can devastate hundreds of acres in a single season. What is more of a secret is how, exactly, to treat these invasive rodents in an agricultural setting. Part of the problem comes from many of the treatment methods available on the market today. Put simply, these treatments come at an extra cost beyond their price. Many of today’s common rodenticides contain chemicals such as anticoagulants, bromethalin, cholecalciferol, zinc phosphide, and strychnine. While these chemicals are all effective at exterminating rodents, they also pose significant risks to people, pets, wildlife, and the environment at large. In agricultural settings, this means that rodenticides containing these chemicals they can kill off helpful rodent predators and, in some cases, the very crops that property owners are trying to protect. In choosing a rodenticide to handle your rodent problem, eco-friendliness should go hand-in-hand with overall effectiveness as your top priority. In the final section of this guide, you’ll find information on our environmentally-friendly rodenticide options here at EcoClear Products—great for homes and agricultural fields alike. There are many different rodent species that can wreak havoc on your agricultural property. While similar, these rodent species do not behave in exactly the same manner, nor do they target the same crops. Mice and rats, for instance, are much more likely to consume crops where seeds are readily accessible; whereas voles tend to target the bulbs and roots of certain plants. Moles, on the other hand, don’t target crops for their food at all—instead, they do their damage through tunneling. In picking a control plan to address your rodent problem, you’ll want to figure out just what type of rodent you’re dealing with. This will allow you to pick the right product for your needs and administer treatment accordingly. If you’re unsure about which type of rodents are of particular concern in your region, we recommend consulting a pest control professional in your area. You can also learn more about rodent-specific treatment with our many eco-friendly rodenticides here at EcoClear Products in the final section of this guide. One of the biggest mistakes that farmers make when treating for pests like rodents is beginning treatment only after a problem has been found. At this point, a significant amount of damage to crops has already been done. 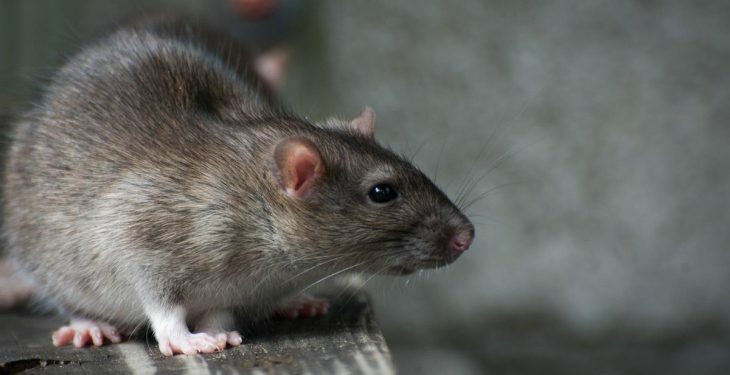 Additionally, a much greater amount of treatment product will be needed to exterminate existing rodent populations—greater, at least, than the amount needed to prevent rodents in the first place. The smartest move for your agricultural property is to begin a control and prevention plan before a rodent problem starts in earnest. Similarly, you’ll want to start treating for rodents well before the harvest season. Some farmers start treating for rodents before the planting season to eliminate pests like moles and voles that may be lurking in the soil. Choose a product that has powerful preventative properties and start your treatment as soon as possible. After planting, you’ll want to continue to be vigilant and apply rodent control products early few weeks. This will exterminate any existing populations before they balloon and will also dissuade other rodents from making their homes in your agricultural field. Here at EcoClear Products, we are proud to offer several eco-friendly rodenticides to help property owners deal with rodent infestations large and small. For mice, we offer MouseX® products—available in both pellets and MouseX Ready Trays™. For all rat species, we recommend our RatX® and RatRid™ product lines. These rodenticides can be supplemented with RatX Rat and Mouse Attractant spray, which is specially-designed to increase the odor and attractive potency of MouseX®, RatX®, and RatRid™ rodenticides. For vole infestations, we’ve recently developed VoleX®, an eco-friendly and highly-effective vole exterminator and deterrent ideal for agricultural use. We are also proud to introduce MoleX®, our new rodenticide designed drive away moles in even the most demanding weather conditions. Formulated with all-natural ingredients, the rodenticides developed by our engineers here at EcoClear Products are not only highly-effective—they’re also 100% safe for people, pets, and the environment at large. This makes them a great choice for agricultural settings where soil and crop damage must be avoided at all costs. Follow the links above to learn more about each of our high-performing rodenticides here at EcoClear Products, and shop with us today! Analysis of rodenticide bait use. U.S Environmental Protection Agency, Office of Prevention, Pesticides, and Toxic Substances, U.S. Government Printing Office: Washington, DC. 2004.